Councillor Victoria Aitken secured extra funding from the East Riding of Yorkshire Council to cover some of the commercial shortfall to keep the bus service running. A petition signed by 1,652 people from the Holme upon Spalding Moor area about the No 18 Bus Service has been received by Councillor Victoria Aitken. The residents are asking that the commercial service which crosses three authority areas be prioritised and made secure for the future. Cllr Aitken has secured extra funding from ERYC to cover some of the commercial shortfall while a three month temporary contract has been in place. 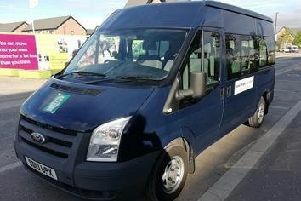 This money has secured a stop-gap shuttle service on an East Riding Council mini bus to link into the commercial service from North Duffield. Tenders were called for a permanent No 18 Service from HOSM to York and these tenders are now being considered. Cllr Aitken said: “I am now confident that the No 18 Bus HOSM-York service will be a good news story. “I have been informed that City of York has awarded the contract for the service to a successful bidder. “Therefore I believe that the new service will start on Monday 6 August and that the service will be the same or better than residents have had over the past three months. “East Riding Council has more than doubled its contribution to the contract which was important to secure the service moving forward. “My case to both the bus company and the council has been that the No 18 Service is a strategically important service. Travel to work, education and health appointments are all a priority for me. “Not all residents have access to a car and are therefore very reliant on public transport. “I believe that rural isolation is a major factor in so many areas of East Yorkshire and for health and social wellbeing, as well as the understandable priorities, residents simply have to be able to get about. “I chaired a public meeting in March of this year, when over 300 residents had the opportunity to voice their fears and now this petition, showing the strength of feeling of over 1,650 locals, proves that public opinion is very strong and is supporting my claim to continue and hopefully increase council funding for this particular service. “Thank you to everyone who has helped by either managing, gathering signatures or signing this petition which will support my arguments for a better rural bus service.